Did you know whitening tooth paste DAMAGES your tooth’s enamel? Most whitening tooth paste contain small abrasive materials that over time will wear down your tooth’s enamel, thus making them sensitive and in extreme cases exposing your tooth’s dentin. Dentin will NOT replenish. 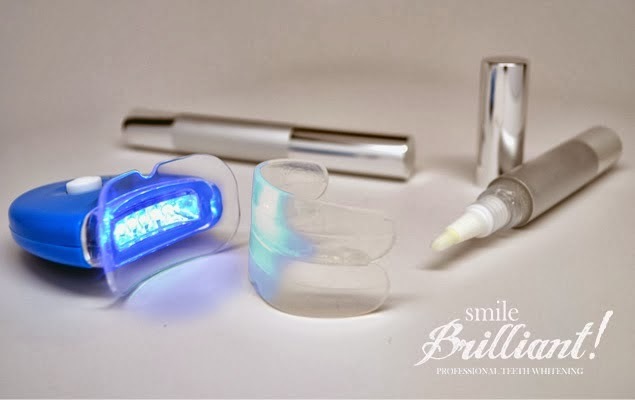 We recently reviewed the LED teeth whitening system by Smile Brilliant. This teeth whitening system is perfect for those who want great tooth whitening results but are on a budget. This LED system is competitively priced when compared to popular whitening strips sold at your local grocer. However, it is far more effective due to its 22% carbamide peroxide tooth whitening gel and high strength LED light which accelerate the whitening process. 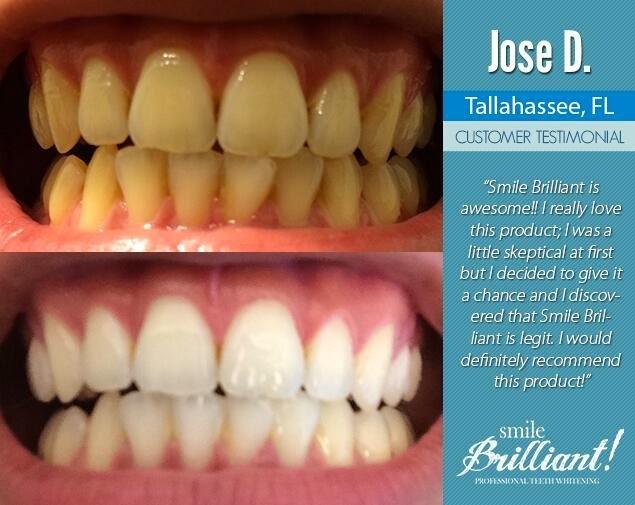 With hundreds of reviews available on the internet and thousands of satisfied customers, Smile Brilliant LED teeth whitening system is a superior alternative to over-the-counter whitening products. This LED teeth whitening package comes complete with our 4ml, 22% carbamide peroxide, teeth whitening gel pen. This compact and easy to use whitening pen releases the whitening gel into a smooth brush tip applicator. Simply crank the bottom of the pen to release an even amount of gel into the brush. Brush on, put in your cheek protector, turn on the light, and you are ready to go. See results in as little as 20 minutes a day! Feeling lucky? Enter our giveaway for a chance to win one Smile LED Teeth Whitening System!